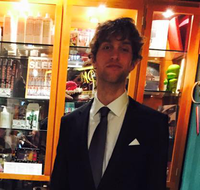 Update 2: The full lineup is officially out. Organisers are calling it their "broadest and boldest lineup yet", which is hard to argue with as everything from house, techno, funk, disco, jazz, and traditional are all represented. Update: With 85 artists announced so far, it's looking like another huge year for the festival with the likes of Jeff Mills, Motor City Drum Ensemble, John Talabot, Kamaal Williams, Marcel Dettmann, and Ben UFO & Blawan all heading to the festivities this year. Find more info including the lineup so far here. You'd be hard pressed to find a more current electronic music festival than Dekmantel. Giving their artists freedom to explore their creativity in their sets, the festival quickly became a musician's favourite. This appreciation from the performers quickly translated into some legendary sets, leading the festival to gain an almost mythical status amongst electronic music fans. After selling out almost instantly in 2018, the festival are finally letting us in on this year's lineup one artist at a time. You can follow the action over on Dekmantel's Instagram. 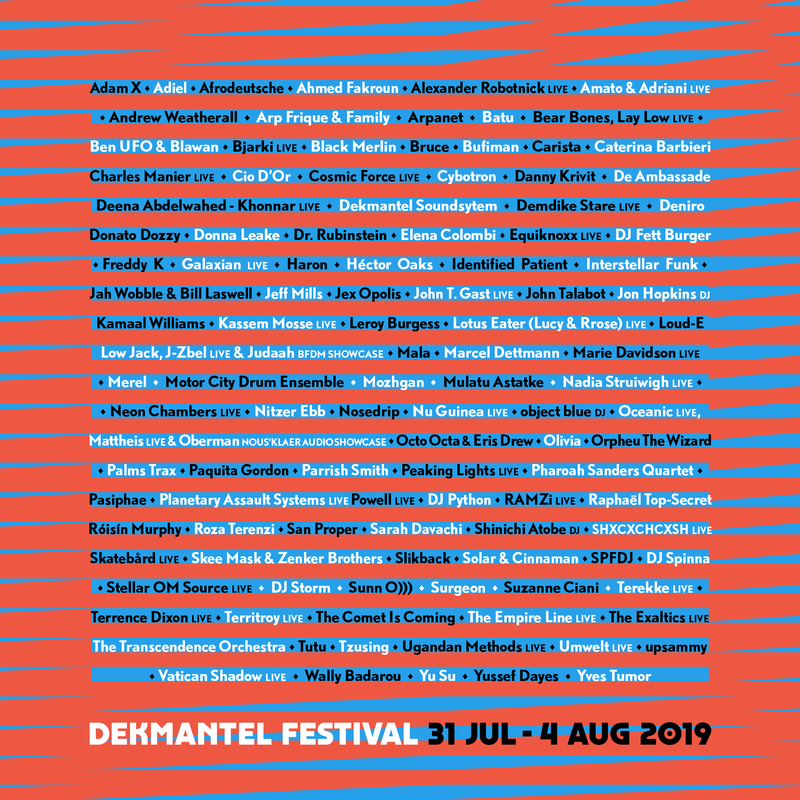 Dekmantel 2019 takes place 31 July - 4 August in Amsterdam. Find more info on our guide and join the Waiting List to stay up to date with all the latest Dekmantel news.